See long below-knee amputation and short below-knee amputation. A two-stage approach was chosen: initially our patient underwent a below-knee amputation, followed by a THA two weeks later. I have no doubt that the below-knee amputation that the old black man suffered as a result of his diabetes totally changed his, and possibly his family's, life. Abbreviations: AKA = above-knee amputation, BKA = below-knee amputation, ICD = International Classification of Diseases, LLA = lower-limb amputation, MET = metabolic equivalent task, PA = physical activity, PASPD = Physical Activity Scale for Individuals with Physical Disabilities, PFA = partial foot amputation, PROMIS = Patient Reported Outcomes Measurement Information System, RR = relative risk, VA = Department of Veterans Affairs, VHA = Veterans Health Administration, VISN = Veterans Integrated Service Network. A below-knee guillotine amputation compared with a below-knee amputation at the site of election. One patient who had undergone previous below-knee amputation of the right leg achieved full weight bearing with the reconstructed left foot and prosthesis. Influence of prosthetic foot design on sound limb loading in adults with unilateral below-knee amputations. The patients with below-knee amputations have less limitations in physical functioning (52. We've made such huge strides in below-knee amputations, with some great prosthetics available today, that these people can pretty readily return to relatively completely normal lives," Bales said. Johannesburg, Feb 14 ( ANI ): Paralympic athlete Oscar Pistorius, who has double below-knee amputations, has allegedly shot his girlfriend to death in the early hours of Thursday morning after thinking she was an intruder, reports claim. 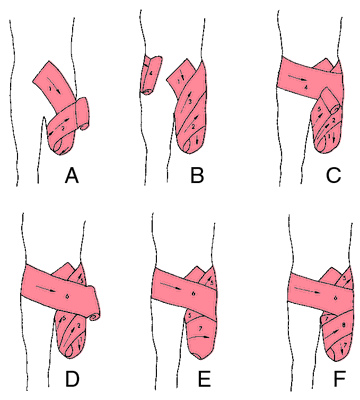 However, Boyd, Pyrogoff, Syme and below-knee amputations are still the preferred choices for selected situations. Individuals who have below-knee amputations may want the inside seam of the corresponding pants leg to open from the ankle to the knee to provide quick access to the top of the prosthesis during the day. Low-energy neck of femur fractures are common, but no cases in the literature have been described for bilateral neck of femur fractures in a patient with bilateral below-knee amputations, and therefore there is no set protocol for such a patient.